At Intuit, we know time is money for small businesses so we’ve ensured that in QuickBooks, finding the information you need is fast and easy and in fact, ease of use and speed were two things small biz users in a recent survey said they loved about QuickBooks Online. You can search any time you want by hitting the magnifying glass icon which is always available via the top navbar. The Basic search allows you to find transaction(s) quickly using a single piece of criteria. If there is only one search result, the transaction is “opened” in the appropriate page. If more than one result is returned, then the results are displayed on the Advanced Search page, where further critiquing to the search criteria can be completed. Need something more advanced? We got you. For the times you need a more detailed search we have built an Advanced Search, accessible from the Basic Search box via a link below the search box. 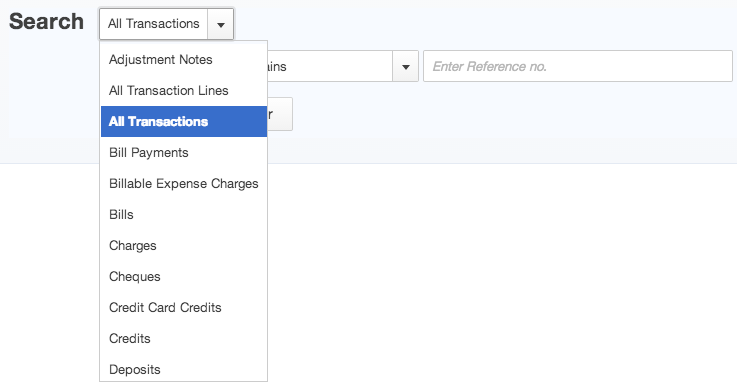 The Advanced Search can be completed across “All Transactionsâ€, “All Transaction Linesâ€ or a specific transaction type based on your role and QuickBooks version. Depending on the type of Advanced Search, different transaction fields can be used as criteria. For the “All Transaction Linesâ€ & “Journal Entitiesâ€ search types, line-item fields have been added in places to enable a more entity centric search. For example, when using a “All Transaction Linesâ€ search, the “Line Amountâ€ has been added to help locate a specific transaction line. This is every useful when trying to find a specific Journal Entry. Each field has a specific set of operations (e.g. equal (=), contains (~), greater-than (>), less-than (<), etc.) that are deemed appropriate for the field. Convenience operations for Date & facilitated value entry for Names (Customers, Suppliers and/or Employees), Accounts & Items/Services are supplied to enable ease of use. Each Advance Search can have from 0-3 pieces of criteria that are “ANDâ€ed together to help narrow the results of a search. For more on Range searches (performed on date and numeric fields to help refine a search) and other advanced search options, read on here. Most search types return transaction level values in a grid where the results can be further refined or can be used in different ways (e.g. sorting, paging, printing & exporting to Excel). For the “All Transaction Linesâ€ & “Journal Entityâ€ search types, line item values are returned in the grid, so the proper line-item can be identified more quickly. 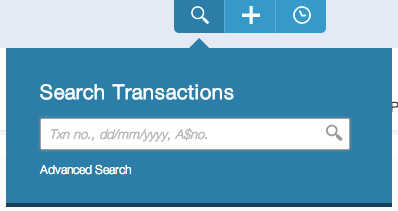 Clicking on the a result row will open the transaction in the appropriate page. If a Contact name is clicked on, the user will be navigated to a contact centric page. Want to share your own insights about searching or ask a question? Get in touch with us via Twitter @QuickBooksAU!